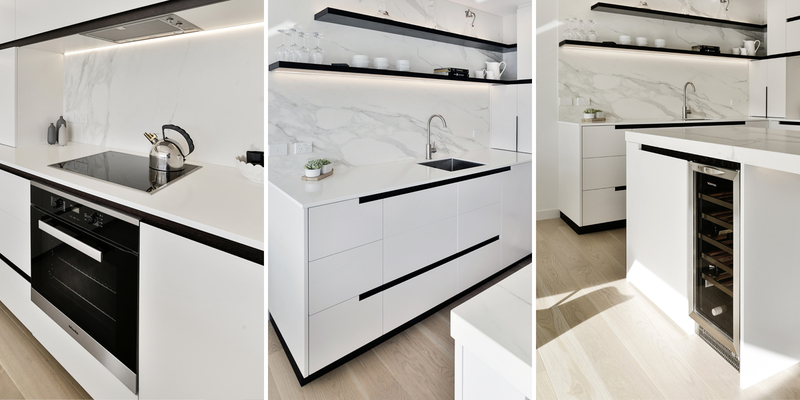 Kitchens By Design | Kitchen Design for Discerning Clients : Mission Bay. 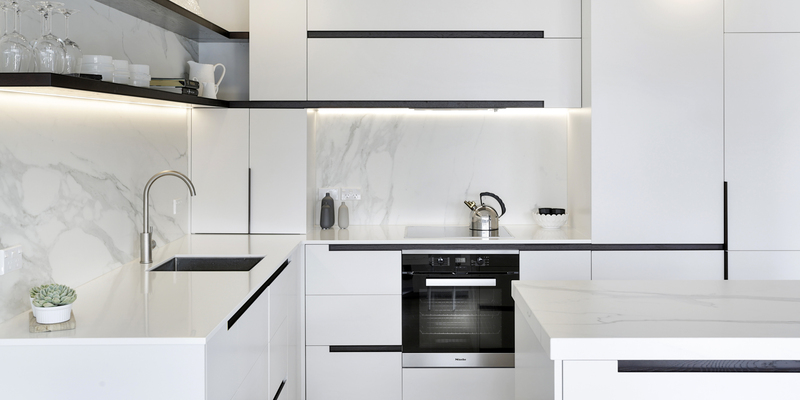 This kitchen was designed as part of a full refurbishment of a small apartment. 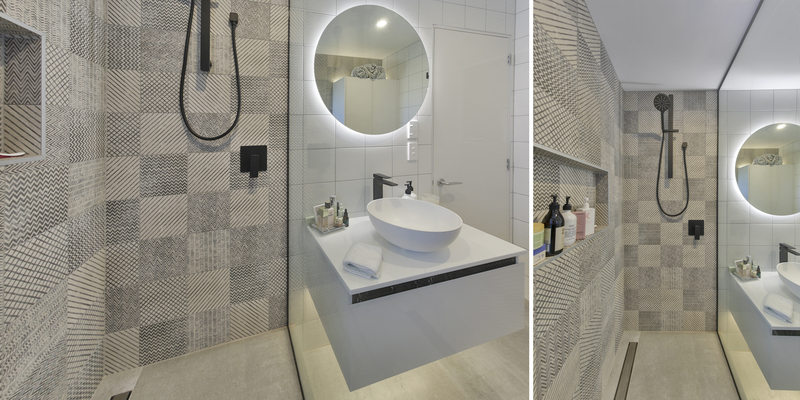 The request was for a compact, well functioning, but also a beautiful space, with a light and fresh feel. To open up the space, one wall of the kitchen was removed and replaced with a slatted, black-stained timber screen to support an existing beam – giving a soft screening of the island bench and kitchen from the living area. 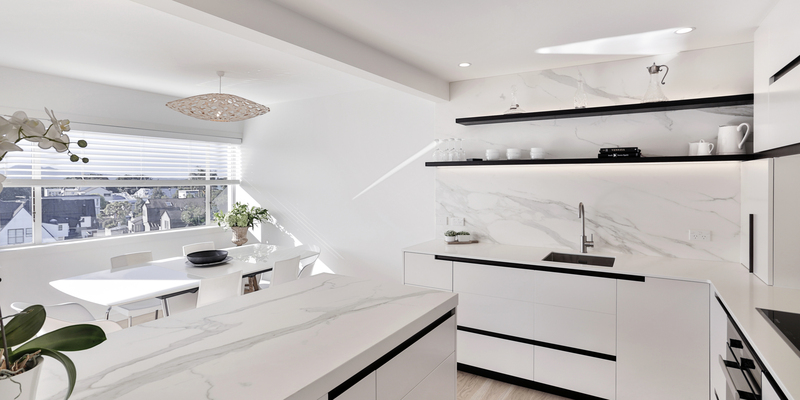 Wherever possible appliances have been integrated – even the small appliances are hidden away in a benchtop cupboard. This helps contribute to the clean, crisp aesthetic. The island provides a great transition from meal prep area to drinks and entertaining space, and there’s a small wine cabinet accessible from the dining space. The material palette was deliberately kept to a minimum. 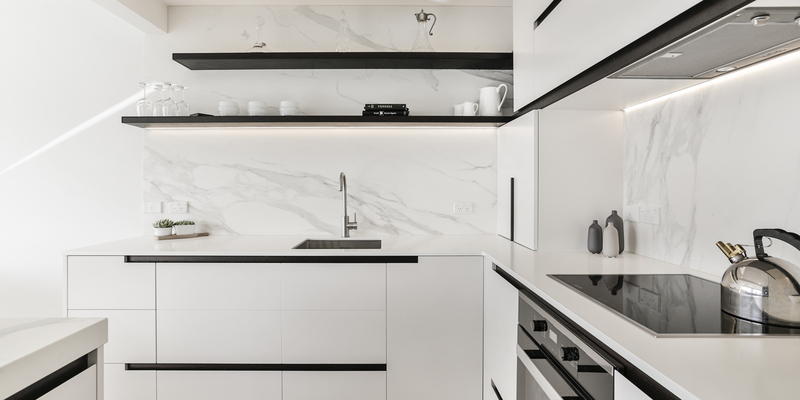 The mix of white cabinetry, white Corian and softly veined white Neolith benchtops is accented by the negative-detail, black-stained oak handles and shelving that slices through the white with dramatic effect. 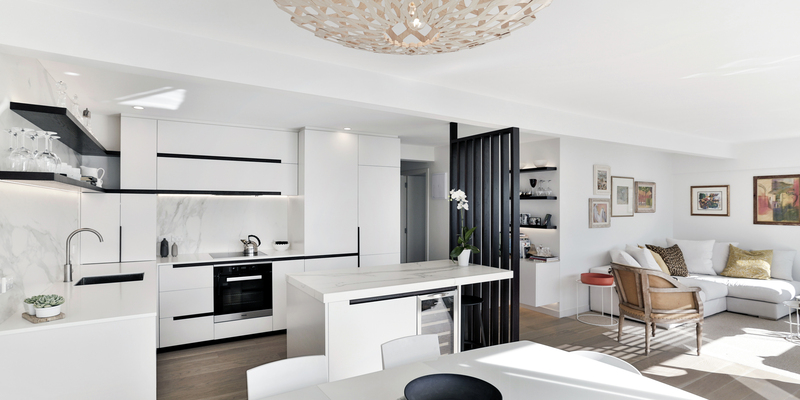 Soft grey oak flooring and clever use of LED strip lighting completes the picture. 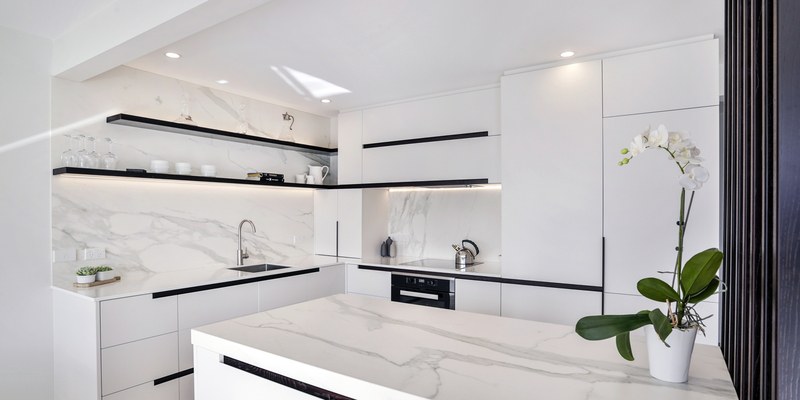 Wherever possible appliances have been integrated – even the small appliances are hidden away in a benchtop cupboard. This helps contribute to the clean, crisp aesthetic.